As a mom to five little ones and as a kindergarten and special needs teacher, I have helped a lot of children learn how to hold a pencil correctly. Sometimes it would be really difficult to teach a child how to hold a pencil until I figured out this fun and crazy alligator trick. It is really important to teach correct pencil grip for a number of reasons. Primarily, you want the child to feel comfortable while writing and secondly, correct pencil grip will help improve handwriting. 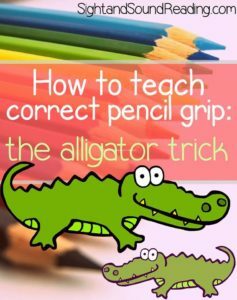 To teach the correct way to hold a pencil, you can have the child pretend his/her dominant (writing) hand is an alligator. Open and close the alligator’s mouth – and show that the alligator is hungry and wants to eat the pencil! Now that the alligator is holding the pencil in his mouth, place the pencil on the bottom jaw of the alligator,and close the alligator’s mouth on the pencil. He puckers his lips and curls his jaws in the shape of an ‘o’ – and clenches the pencil in his teeth. 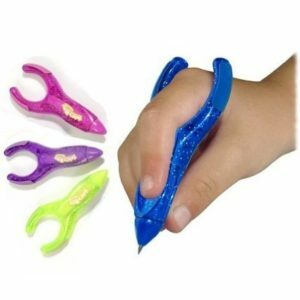 If your child continues to struggle, there are some neat tools out there that really help children to grip a pencil correctly. 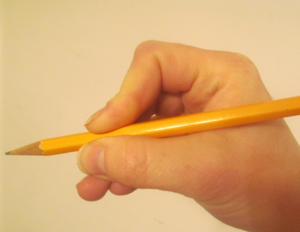 Click the picture below to see the tool we recommend for teaching someone how to hold a pencil correctly . We do not recommend the small grips that slip onto a pencil – in my experience, they still confuse the child where and how to hold the pencil. 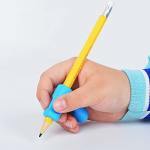 These sort of pencil grips may help your child feel more comfortable holding a pencil (ergonomically correcting an already correct grip). 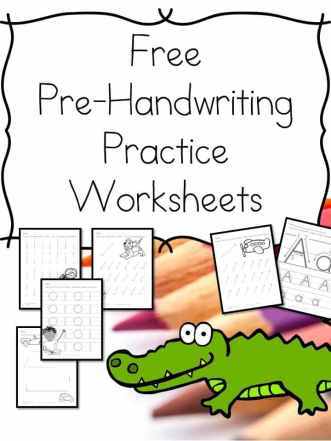 After your child has mastered holding a pencil correctly, we have some free handwriting worksheets for you to help them master handwriting. Enter your information into the form below and you will be automatically emailed a copy of our free pre-handwriting practice worksheets. You will be added to our mailing list where you will find out about lots of fun free activities for kids. If you have any trouble with your download, email me at [email protected] -I am happy to help! Ready for more fun? 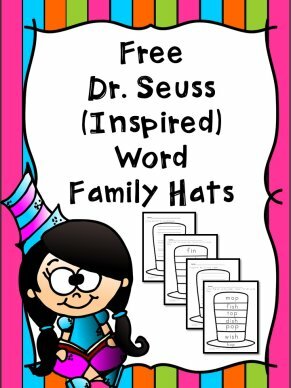 Get your free Dr. Seuss word family hats! Those are cool grips. It is so hard to correct a grip–I had to do it in college as I was training to be a teacher. One of my daughters also has a wrong grip. What a neat trick. I’m going to try this with my son tomorrow. Thank you!!! My son is struggling this. He has these little grip thingies (it has little cups to stick your fingers in) but he hates using them. I am going to look into others. Glad it helped. That one tool my daughter uses is fantastic. I had bought her something and it just made her confused – definitely look for a similar one that my daughter uses -because it really helped her. I wish I knew this with my oldest and can’t wait to try it with my preschooler! I recently learned that the reason toddlers once used cups with handles for their pinky to go through was to build that muscle that holds a pencil. Since we no longer use those kinds of cups it is harder for kids to learn to hold a pencil and hold it for long periods of time. That is so interesting! Thanks for sharing! Wow, I’ve never heard of this at all. I grip my pen/pencil how it felt naturally to me, and as a kid (now an adult) I have made a study of how people grip their pens/pencils differently. It always intrigued me. Great information! My daughter’s too young for this now but I may purchase a grip for the future. Love this tutorial! 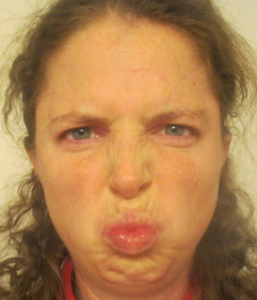 The “puckering lips” is genius. I wish I had this when teaching my kids to use a pencil. Wonderful tip! Thanks! Thanks for coming by! Great trick Meeghan, thanks for sharing! Hope you have a wonderful SITS day! Thank you, Ana! Thank you for stopping by Sight and Sound Reading! Great tips to help teach kids! Enjoy your SITS day! Thank you! Thank you for stopping by Sight and Sound Reading! I was just trying to correct my daughter’s grip yesterday. Now I have a cute method! Thanks & happy SITS Day! Glad we could help! Thank you for stopping by Sight and Sound Reading! Thanks for coming by Sight and Sound Reading. I am glad you found it helpful! Thank you for this article! I have been searching all over for the pencils shown! We found them a few years ago when they were being discontinued in a local store. Every year I have at least one child on my preschool class that needs help holding his/her pencil correctly. Thank you!! Great! Yes, I have found those to be helpful…but, they are really hard to find, so I am glad I found them through amazon! Who wrote the rule book on pencil grip? Lol I was kind of thinking that too! I saw the picture and thought “Thaaaat’s not how I hold one.” Haha but it’s been working pretty well for me these last 28 years. Each of my kids hold them in their own way as well. Whatever is comfortable! I feel like I’ve missed out on this rule as well, have never heard of this before. Aww, this is just the goofy way I teach my kids..but, it works and it helps them hold their pencil correctly! Thanks! Definitely keep us posted. I do love those grips. They helped my daughter after I had tried pretty much everything. She also loved the alligator trick too, of course! Awww, good luck 🙂 I have a few stubborn little ones as well. Hopefully keeping it fun will help! I find that there are many functional pencil grasps. The common factor is having the thumb down toward the tip of pencil or marker. Crayola crayons and markers have a line near the bottom to park the thumb. I also put a strip of masking tape on a pencil at the proper placement for the thumb. So many kids are distracted by the additional sensory stimulus of a pencil grip or assistive device. We are Kids Rhyme Box specializing in e-learning content for toddlers. We have an ongoing activity for mom bloggers, where we pick 2 mom bloggers every week & we promote their post on all our social media platforms (FB/TWITTER/G+/WEBSITE). This week we are selecting your blog & this post and promoting it in our page. Congratulations!! Awww, thanks! 🙂 Can’t wait to see it! What a great tip for my grand kids! Thanks for sharing it on today’s Blog Hop! Aw, thanks! 🙂 Thanks for stopping by! Good to see this – wish that holding pen properly and practising writing was given more time in schools. We’ve just moved to Italy and in the children’s senza zeino school they practise writing every day- my 7 year old’s writing is already much better. Thank you! Yes…I think it is actually overlooked because ‘these days’ children are writing with their finger on tablets and they don’t practice holding a pencil/pen and writing. Then they enter school and it is a challenge. Interesting that they do practice more in Italy. These are great tips! My son is 2 and is just starting to play with crayons and such, but I have wondered if I should be correcting how he’s holding his instrument. I will be pinning this for the future. via Thank Goodness It’s Thursday. Aww, thanks! I am glad you enjoyed. 🙂 Thanks for stopping by! Pinned to my Kids Pinterest Board! Thanks for linking up to Merry Monday! Have a great week! Thanks for linking up at Free and Fun Friday!! Thanks for this! I’ve been trying to figure out how to get my son to hold his pencil correctly. I’ll definitely try this! Love this, wish it could be passed around to all parents. I teach 1st grade and it is SO hard to correct an incorrect grip. Aww, thanks! Thanks for help for sharing with your class! Kids today are so used to swiping on a tablet they rarely learn to hold a pencil.. hopefully the alligator helps those who need it! I also like to let parents and teachers know that the size of the pencil can make a difference too. It’s not how fat the pencil is, it’s how long it is. Same with crayons. If you’re kiddo uses a fist grip, break the crayon. They automatically go to a tripod grip. Short pencil, the same. I use golf size pencils. Grip does matter. 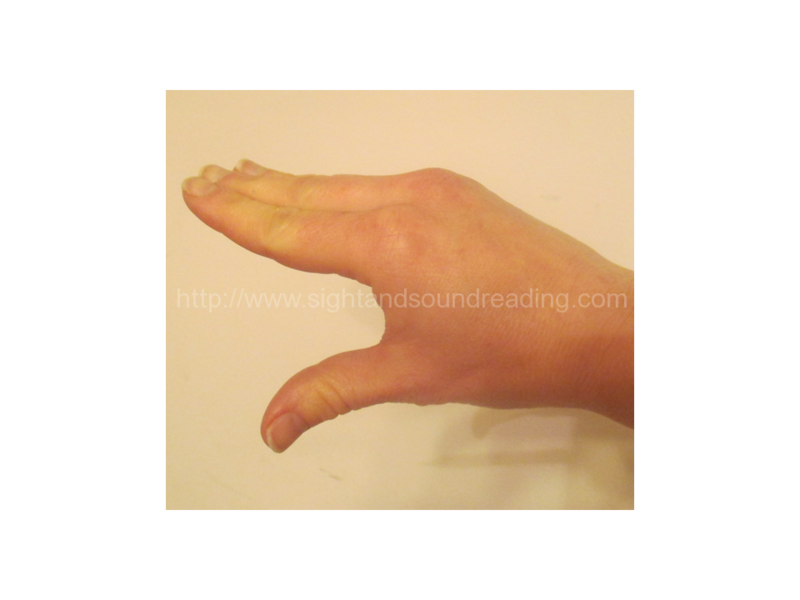 It helps with stability of the hand, range of motion with the fingers, and being able to see what you are writing, and where in conjunction with the lines. Pencil sits in the “duck” web space. I tell my kiddo’s we’re just like a duck and have a web. They think it’s funny! Yes! Great suggestions! Thank you for sharing! Same if they’re left handed? I’ve seen leftys grip their writing utensils differently. Any feedback would be appreciated. 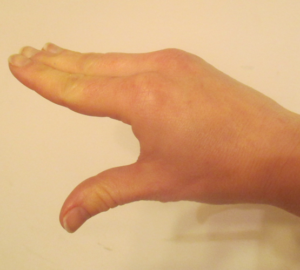 Typically for someone who is left handed, you often see the person have a “hooked” hand because the person is trying to see what they are writing. This is actually not correct/not the best way to hold a pencil for a left handed person. For someone who is left handed, you can use this trick… and I think the grip that would wok best is the “gun” looking ones… because you want to make sure the left hander positions his fingers far enough back from the point. 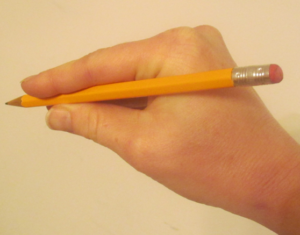 The left hander would want to hold the pencil a bit farther down (about 1 inch to 1.5 inches from the point) so that they can see what they are writing. Also, they will want to position the paper so that the is to the left half of their body and slanted right. Doing both of these things will help the left handed person see what they are writing and, they won’t have a uncomfortable “hook”. My 7 year old son has the hardest time holding a pencil. He’s far behind on his fine motor skils still but im hoping to find this pen to get him acquainted with before 2nd grade. Where can i find one? Thanks for your questions… There are 2 pencils that we have tried and liked -both are linked above, but here is another link to both as well: http://amzn.to/2sDM6GM OR http://amzn.to/2tVKg8s …I have 6 children and 2 have struggled with pencil grasp. One preferred the one pencil holder, the other preferred the other. Regardless, I have been able to find the first one linked at our “United Art and Education” store. I have never seen the other one in a local store or anywhere else, unfortunately. Anyway, I hope this helps and I hope your son does well with one of these grips. I would love to hear back that he is doing better with his writing! This is s good idea. It has been a constant stuggle to get my babies jold their pencil and i used the jumbo pencil and crayon. When school reopen i will sure to yry this strategy. I also use bull dog clips with the index finger going between the two silver “handles’. Different sizes work on markers as well which is handy for developing motor memory with a more colourful writing instrument. Our ipad babies are not that enthralled with a thing grey pencil line!